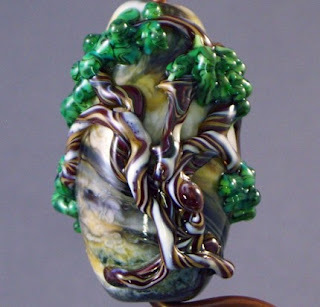 Ok, so you decide that you want to buy a lampwork bead for your next necklace. You go looking on the net for that bead, that perfect, one of a kind bead that will just fit your ideas right down to the ground..... my I say, "HA!" You will come away with at least three to start with. Soon, when you look around, your work space is littered with these gorgeous works of art, and you are bewildered. "Where did they all come from?" you mutter to yourself. There must be about twenty of them, right there, and you know there are more, which you have carefully labelled and put away for future use. What happened to that one bead that you were looking for? I can tell you - you found it, and then you found one more, and one more, and...well, no, you really shouldn't spend quite that much on ONE bead, but...JUST one more! Have you been here? 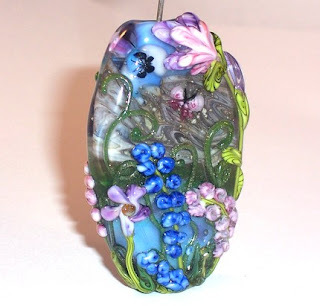 If you haven't, you have not yet contracted Lampwork Bead Lust. Hope you don't, if you haven't; if you do, you will soon be forced to mortgage your home and sell your car. Then you will be down so low, you might even be considering asking for a loan from your in-laws to keep your addiction satisfied. I guarantee you will need to cut up those credit cards. Mighty Oak Focal by Lloyd Osborne. Floral Focal by Koi Creek. Floral Focal by Bits and Baubles, Etsy. Ocean Oil By Shari Slonski, Ebay. Jeweled Desert by ElysiumBeads, Etsy. Oooooo they are gorgeous and I can't say I blame you for becoming addicted to buying them. They are maybe even to gorgeous to use!!!! 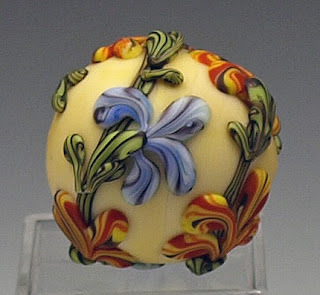 It comes as no surprise to me that you have great taste in lampwork, Nancy. Those are all gorgeous beads. Whatever you do, don't ever come to the Tucson gem show. There are SO many great lampworkers at the various shows, and then of course, you have to buy seed beads and crystals and such to go with all of them... yeah, it gets dangerous! Got the lampwork virus myself. Awful, poverty-causing, isn't it?? Been there... know this addiction... have spent WAY more than I earned teaching at bead and quilt conferences on lampwork beads in just a couple of hours in the conference showroom. Yet I love every one of them. 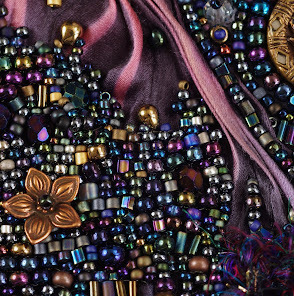 One thing that helps me is to consider the whole, ubiquitous history of beads, how lasting they are, how they make their way into many hands and transform from one type of jewelry to another over the ages. We are their first loving owners and will, in time, send them on a long journey in the world. There... does that help? Ah! No wonder why! 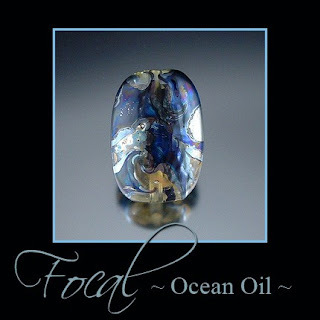 You have found some magic focal beads here! OMG! I would go crazy as well! I am impatiente to see them in your own creations! Yes, they certainly ARE gorgeous... and yes, I have all those same symptoms of Lampwork Beadlust. Oh golly, guess I have just plain ol' Beadlust... and have for 25 years now. Eeeeek. You don't want to know how many LW beads I have stashed away... more than I could ever use. Buying them gave me such pleasure and when I'm looking for one particular bead, rumaging through my stash, I fondle all them, renewing my pleasure in them. It's all good!